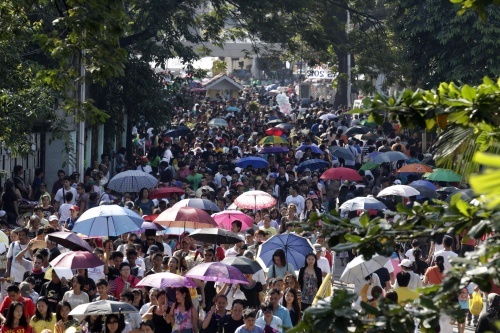 In pictures: Filipinos enter the public cemetery in Manila, Philippines, 01 November 2012. The national police force went on full alert as millions of Filipinos trooped to cemeteries to visit grave sites of departed loved ones on All Saints` Day. Filipinos enter the public cemetery in Manila, Philippines, 01 November 2012. The national police force went on full alert as millions of Filipinos trooped to cemeteries to visit grave sites of departed loved ones on All Saints` Day.